When people think of muckraking, what comes to mind is that term coined by President Teddy Roosevelt. This term has to do with an individual who “rakes the muck” or exposes corruption going on to the public. 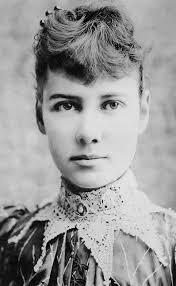 There were many muckrakers, the majority of them male until reporter Nellie Bly introduced herself to the muckraking industry. 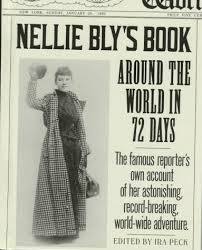 Early on in her career, Bly was a reporter for theatre and arts but ultimately made little money and was not too good at it. She somehow got to the offices of Joseph Pulitzer’s newspaper, the New York World, and found an assignment that was difficult to accept but could not be turned down. Bly had to act as if she were insane and check into Blackwell’s Island Asylum and expose the conditions of the hospital. There were reports that the hospital had poor conditions and that there was abuse and neglect of patients. It was not too easy because Bly had to practice being deranged and then had many stops before she arrived at the hospital. She went to a boardinghouse where people thought she was crazy because she refused to go to bed and was afraid of everyone else. The police were then called, who summoned her and thought she had amnesia. Everyone thought she was insane: doctors, lawyers and the police. She even caught media attention from the New York Post. She was then sentenced to the asylum and experienced the worst right away. The food was impossible to eat and even the water was undrinkable. Nothing was sterile and everything was unbearable. The nurses were abusive and rats crawled around the hospital. After ten days in the hospital, she was released and reported her experiences right away. Everything that was thought to be true was really true. Once people found out for sure what was really going on, a grand jury investigated the conditions in the hospital and had everything fixed. 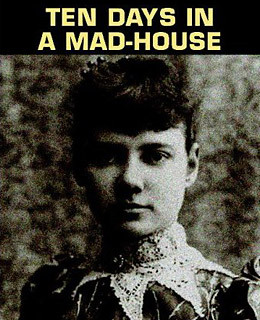 This brought her fame in the muckraking industry, and inspired her to write her book, Ten Days in a Mad-House.